Driving licence Netherlands? Get your Dutch driving licence here! Get ready now for the new format of all the CBR Driving Theory Tests........the individual "ITEC" ! Go to TrafficTrainer and learn all you need & practice well over 11.500 questions that you can get in the NEW CBR-ITEC Driving Theory Test! During the course of the years we have welcomed many expatriates from various nations, whom have attended our driving school to receive specialised training with specific explanations and instructions in fluent – technical – English. 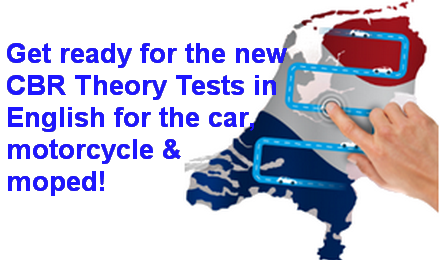 If you want to obtain a Dutch driving licence, please read through our Driving and Theory lessons or Apply directly to start your lessons now!